Social care provided by councils in England to adults with a visual impairment has almost halved in the past nine years, reports Rose Edwards. But the new Care Act could reverse that trend. The number of adults who receive social care provided and paid for by local authorities continues to fall, but the Care Act 2015, which comes into effect next month, could see support extended to adults with visual impairment. Social care support is an invaluable resource that can enable people with a visual impairment to live as independently as possible. This is achieved through a variety of services such as meals, day care, home care and professional support from staff who are not part of the case management process (the process of planning, coordinating and reviewing care). In September 2013, NASCIC (National Adult Social Care Information Centre) statistics showed that there had been a drop in the number of adults with visual impairment receiving support between 2005/06 and 2011/12. Data recently published by RNIB shows that this trend continues. Between 2005 - 2006 and 2013 - 2014, the number of adults with a visual impairment who receive social care services fell by a staggering 47 per cent across England, compared to the 34 per cent reduction among all people with a physical disability. By comparing the number of people registered as blind or partially sighted and the number of people receiving social care, it is estimated that less than one in ten people registered with visual impairment receive social care support. Since 2005 - 2006, there has been a significant decrease in the numbers of blind and partially sighted people receiving care in every region in England. However, in some regions, the reduction in services has been greater than in others. Within this period, the East Midlands has seen the greatest reduction, with the number of blind and partially sighted people receiving care in the region falling by 65 per cent. However, in the past year, the North East has seen the greatest reduction in services. The number of blind and partially sighted people receiving care fell by 21 per cent between 2011 - 2012 and 2012 - 2013 – a much higher yearly reduction than any other region. The reason for the decrease and variation in support offered to blind and partially sighted people may be attributed to a number of factors. This may include the restriction of care services to only people with critical care needs, and applying eligibility criteria to rehabilitation and preventative services. Simon Labbett, Chair of the Rehabilitation Workers Professional Network, says that although the statistics appear to show that blind and partially sighted people have been disproportionately impacted by reductions in social care services, the reality of the situation may not be as clear-cut as this. In terms of how case work is recorded, these factors may mean that sight issues are not picked up by social services and make analysis of data problematic. Nonetheless, there are a number of reasons why people with a visual impairment may be disproportionately affected by reductions in care. Labbett continues: “It may be that the needs are screened out at the initial contact point, the visual impairment rehabilitation programme has reduced the needs or the individual is fully assessed for a social care package, but the assessor does not understand the impact of sight problems so they fail to ‘score enough points’. 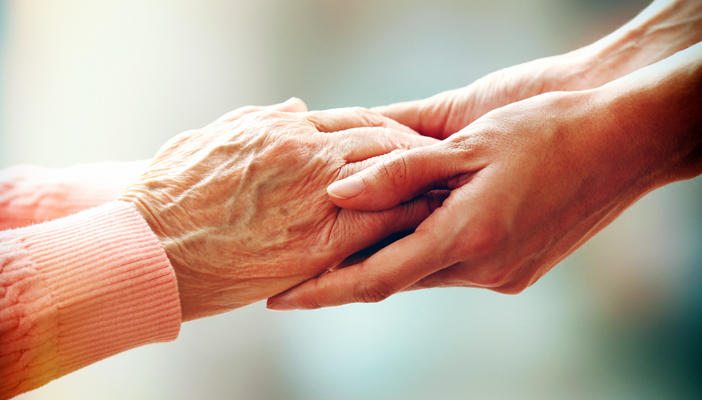 However, the Care Act comes into force in April 2015 and has the potential to address some of these issues. From April, all local authorities will have to provide support for people with significant care needs. This is a change from existing policy, in which local authorities can provide support for people with low, moderate, substantial or critical needs. Local authorities that currently provide support only for those people with “critical” needs will have to extend support to people with “significant” care needs (which is roughly equivalent to the “substantial” needs of the previous system). For the first time, rehabilitation services for blind and partially sighted people are recognised, and local authorities are expected to provide these services irrespective of whether a person is eligible for care support. If rehabilitation support does not the meet the needs of a person, they should receive a full assessment for their eligibility for care support. RNIB will be proactively working with local authorities to ensure that the Care Act is implemented and that blind and partially sighted people receive the care support they need. A full analysis of the latest data can be found on the RNIB website. Rose Edwards is a researcher at RNIB.